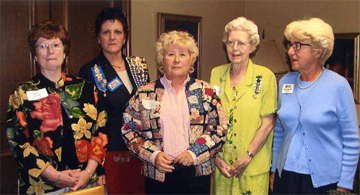 Consider membership in the National Society Daughters of the American Revolution (NSDAR), a volunteer women's service organization that honors and preserves the legacy of our Patriot ancestors. More than 200 years ago, American Patriots fought and sacrificed for the freedoms we enjoy today. As a member of DAR, you can continue this legacy by actively promoting patriotism, preserving American history and securing America's future through better education for children. 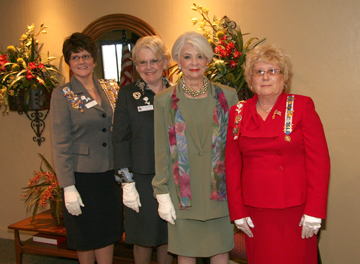 Corpus Christi Chapter enthusiastically promotes the DAR mission. The chapter was officially organized May 27, 1927 and named in honor of our historic city. We meet on the third Friday of the month, September through may, unless otherwise determined. Contact us about attending a meeting. Our chapter promotes the National Society's mission of historic preservation, patriotism, and education through a variety of programs and activities. No matter where your interest lies, there are opportunities to participate. The purpose of the National Society, Daughters of the American Revolution, is threefold: Patriotic, Historic, and Educational. Most of DAR's volunteer work is accomplished under a committee system. Members find many possibilities to serve within this system. We participate in community service awards, digitizing genealogical records, the NSDAR President General's project, honoring Revolutionary War patriots buried in Texas, assisting prospective members identify their patriot ancestors, and preserving historic structures. Chapter members promote American history through essay contests for grades 5-8, and annually award good citizens in area high schools. We show our patriotism during Constitution Week each September, join our local 4th of July parades, award ROTC medals to student cadets of high school age, and support our national defense by awarding DAR Armed Services awards at nine military bases in Texas.